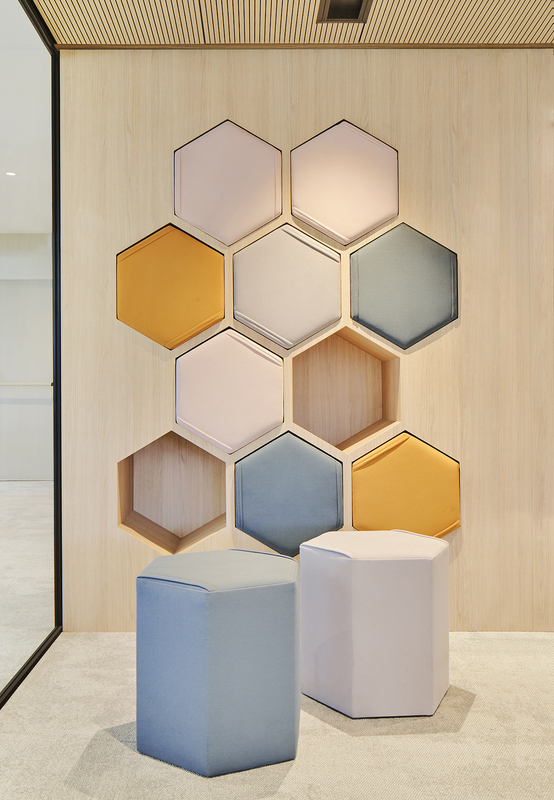 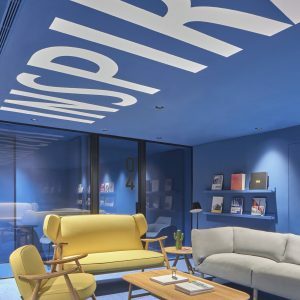 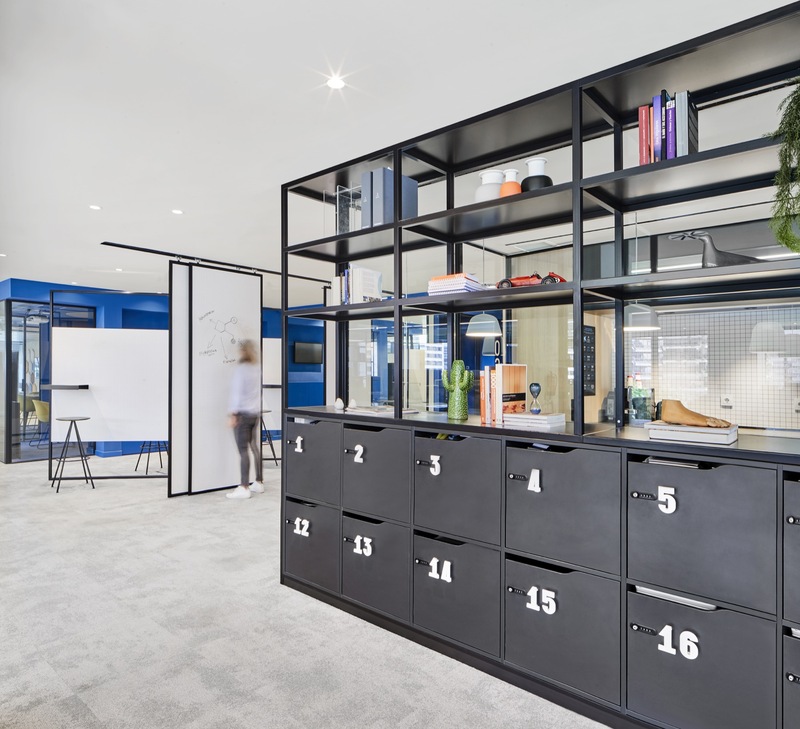 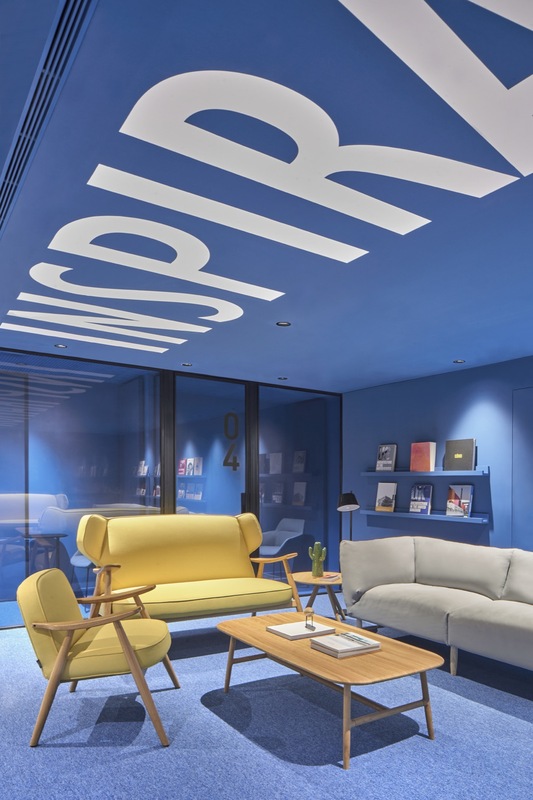 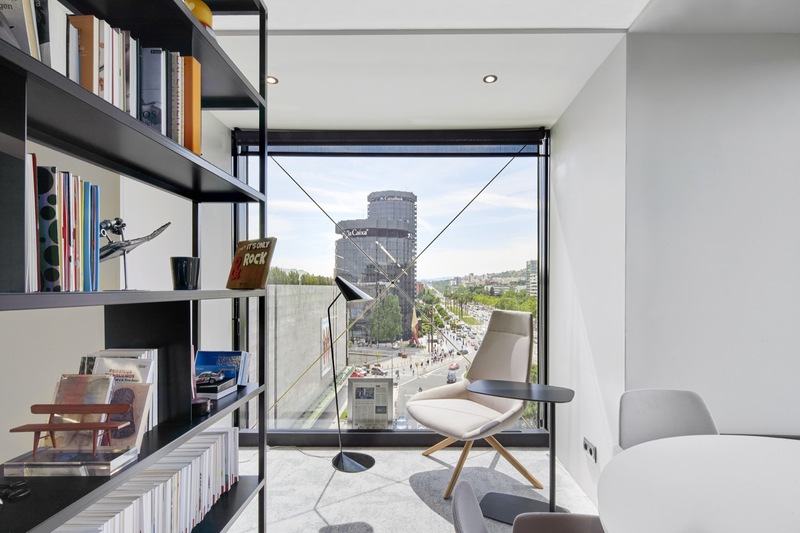 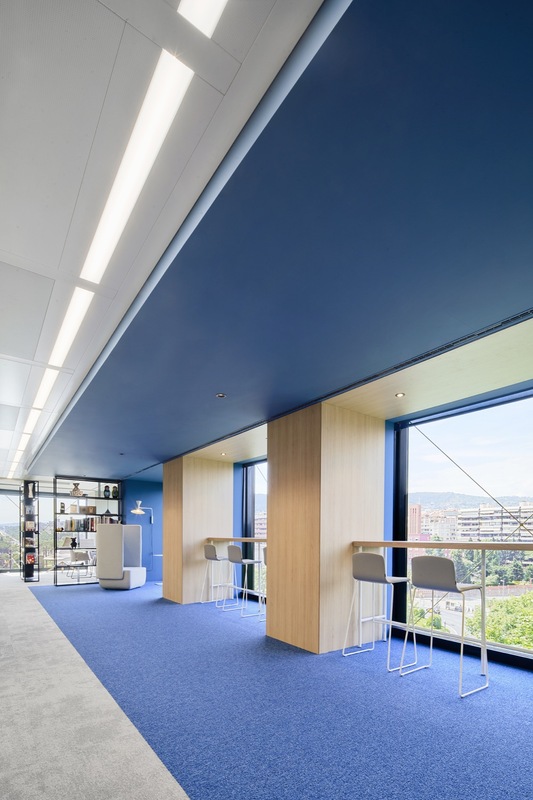 This interior design project was carried out on the 6th floor of the Dau building in Barcelona, to welcome Caixabank’s innovation and marketing department. 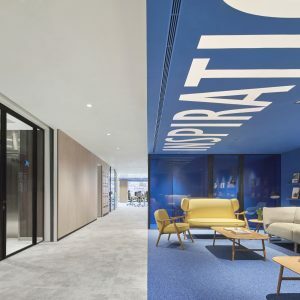 The new image stands out for its corporatism thanks to the use of blue and yellow colors, which are very representative of this bank. 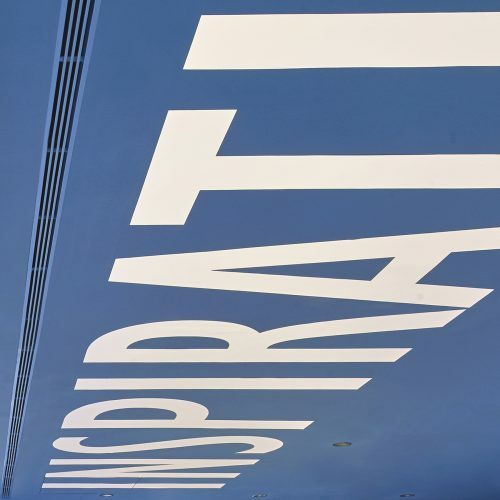 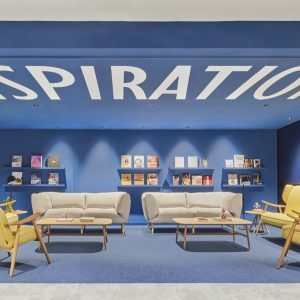 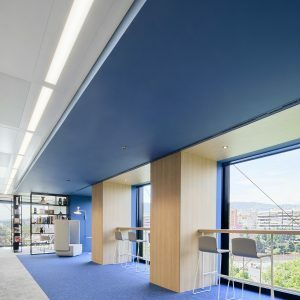 The application of blue as the main color of the project has been carried to the extreme by flooding the spaces intended for meeting or rest. 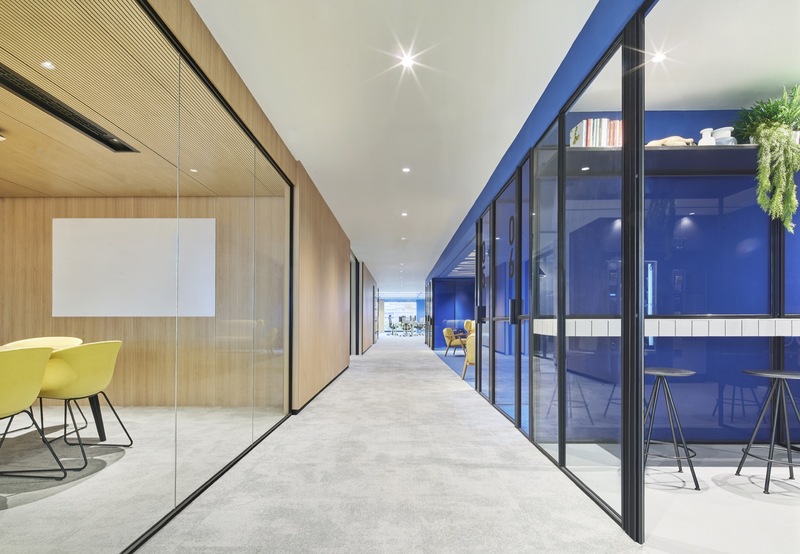 Applying it to walls, floors and ceilings, we can delimit spaces without physical barriers, allowing fluid circulation through them. 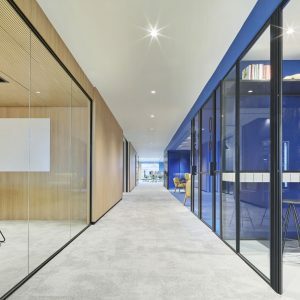 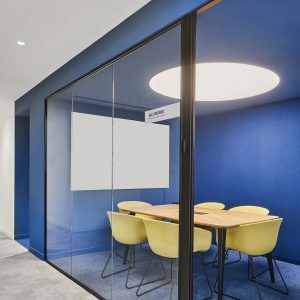 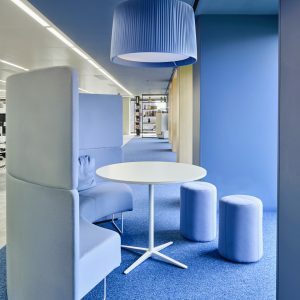 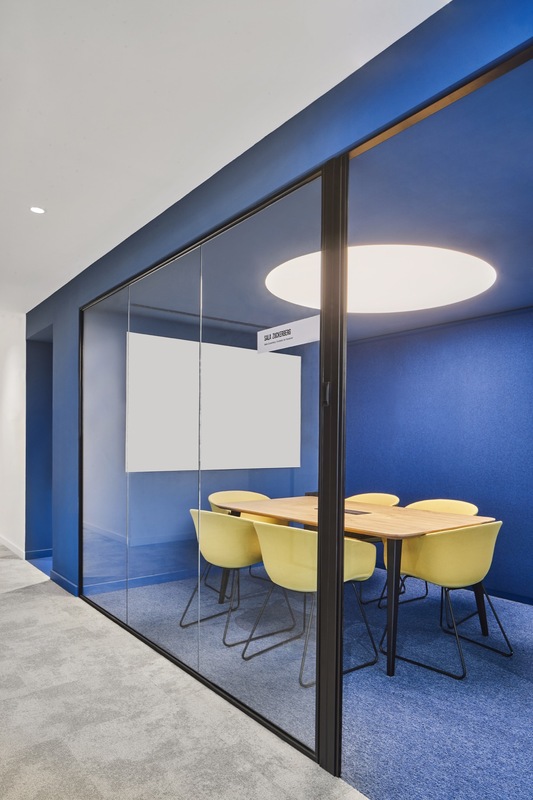 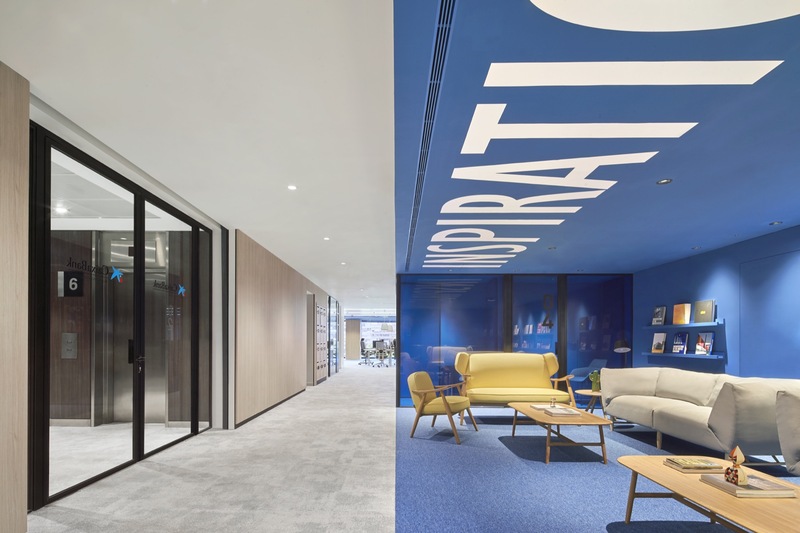 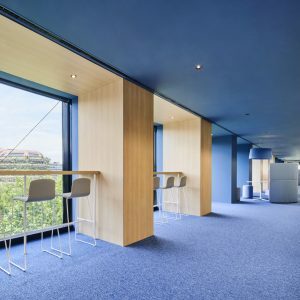 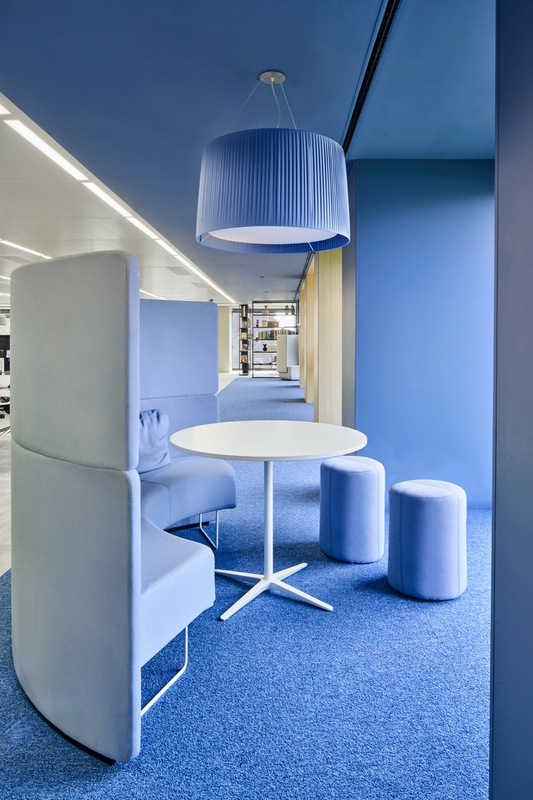 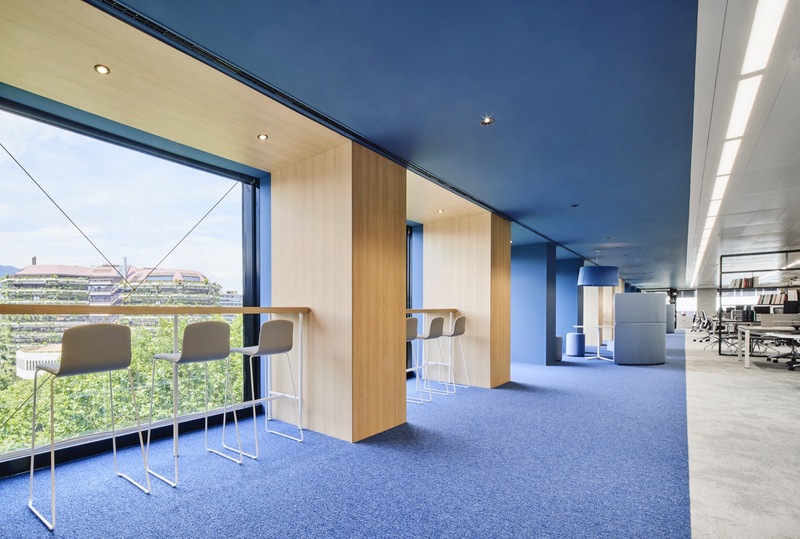 The blue contrasts drastically with light colors or wood, which have been used for areas of passage and individual work areas. 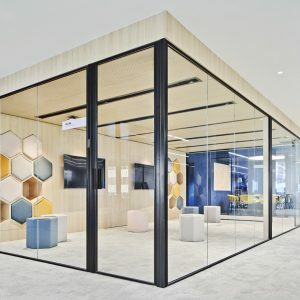 In the brain-storming room, a quiet and comfortable atmosphere has been created thanks to the use of wood and carpet in light and neutral tones. 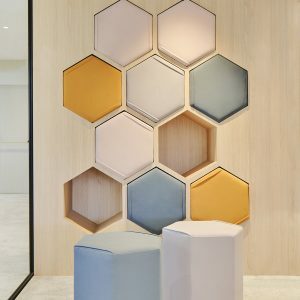 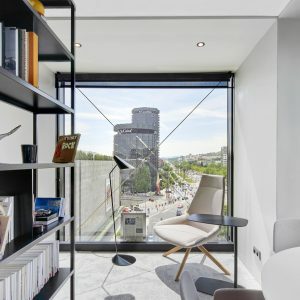 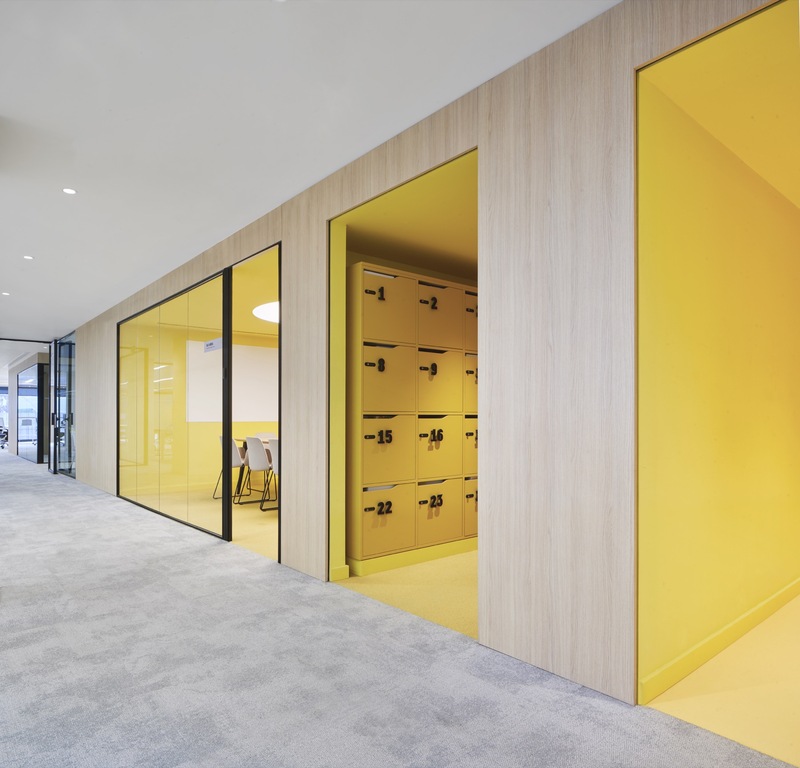 The furniture has been designed to measure, and this is collected integrating into the wall and allowing the room to be cleared for other uses.